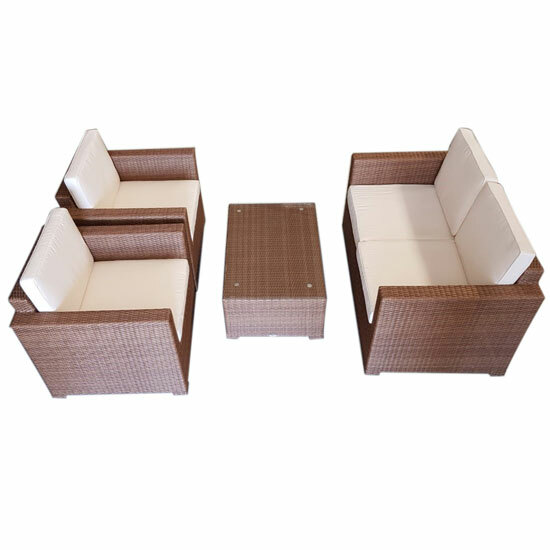 The Roma Lounge Set is made from Wicker and Aluminum frames. 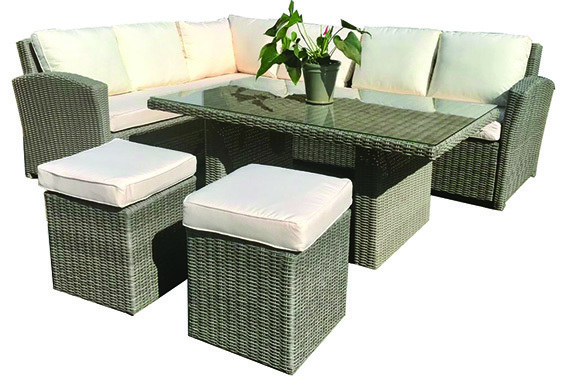 The WICKER, it made from Resin Wicker (Resin wicker, also known as all-weather wicker, is manufactured predominantly for use in outdoor patio furniture. The cushions are cream and the cover is removable. The table top is made off reinforced glass.